Description: Bold and colorful storytelling piece. 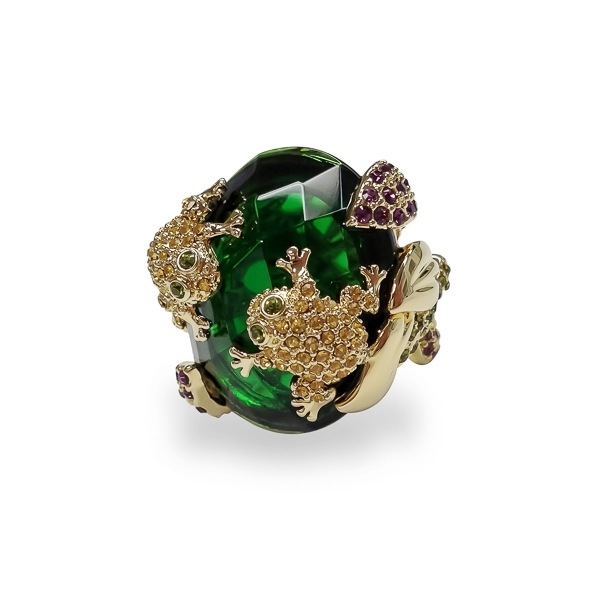 Two crystal pond frogs perching on a lily pad made of deep green diamond cut glass stone. She gracefully displays a snapshot of life and beauty around us. 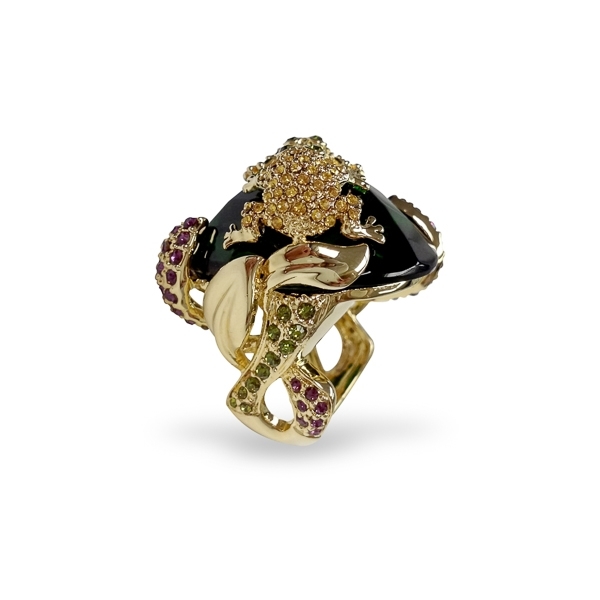 Material and Measurements: 14K Gold Plated Base Metal, Diamond Cut Glass Stone, Crystals - Focal Point 1 1/4" X 1 1/4"
Enter Quantity for R-AE039 to add to your shopping cart.